With the disappointment of Disney’s The Lone Ranger still fresh on my mind, it was recommended to me that I check out another updating of an old masked hero that had thrilled moviegoers and readers generations ago. So I finally checked out The Mask of Zorro. He was also given a modernized big-budget treatment awhile back and it’s much better and more entertaining than I had expected. The aging Don Diego de la Vega (Anthony Hopkins) who has been the black costumed sword-swinging avenger protecting Mexican peasants from the evil and corrupt is captured by the sinister governor Don Rafael Montero (Stuart Wilson). de la Vega’s wife is killed, his baby girl taken by Montero and Zorro is thrown in a prison never expected to see the light of day again. Twenty years later Montero returns from Spain with de la Vega’s daughter Elena (Catherine Zeta-Jones) who he has raised as his own. She is unaware of her true heritage and that her true father is really the famous Zorro, who just so happens has managed to escape from his prison. Vowing for revenge, but realizing he could use some young assistance, de la Vega meets Alejandro (Antonio Banderas) an angry thief who he agrees to train in the ways of the sword to help him avenge his brothers death and help him in stopping Montero’s plan of controlling California. With the help of some training after a twenty year absence Z’s are being cut into walls, bad guys are getting knocked off their feet and Montero’s big plan is in jeopardy. This is a really fun movie. The story is straightforward, the action is nicely put together and all the actors are effective in their roles. Everyone seemed onboard and enthusiastic to make a swashbuckling film with all the good stuff – swordfights, horse chases, acrobatics, big rusty guns firing holes through wood. Fortunately, director Martin Campbell stages all the sequences with precision and tries to toss in some inventiveness where he can. When the action starts to unfold it’s hard not to get lost and get swept up into it. The swordplay is especially impressive by all the actors and luckily Campbell knew not to cut those fights into little pieces and he allows us to admire all the choreography and work that obviously went into doing them. Plus, Zorro is a character the movie makes you want to root for. They actually respect their title character, unlike The Lone Ranger. Here we get to see why the peasants are cheering for him, we see his skills and there’s a reason why the bad guys should be worried about him. He’s a hero and not a joke. There are few good-natured self-referential jokes, but for the most part he’s handled with respect and we’re never meant to laugh at him. Hopkins and Banderas are both good in their mentor/student roles and convincingly pull off their action scenes. Wilson and Matt Letscher make their bad guys really nefarious and you just can’t wait until they get what’s coming to them. And Zeta-Jones…..man she never looked better. It’s almost distracting how good she looks in this. It’s kind of ironic how two Welch actors and a Spainard were cast as Mexican characters here and unlike Johnny Depp playing the Native American Tonto, it actually works. I think Hopkins looks the most out of place and they could have gone with someone better suited, but Banderas and Zeta-Jones are both well cast here despite them not being Mexican and they do have some nice chemistry during their dance and swordfight scenes. It’s a contrast from Depp’s casting as Tonto – these two are better suited to play these roles despite not being Mexican and it’s not that far of a stretch to accept, whereas, Depp as Tonto was there only because was a movie star. When I saw this movie, I thought Antonio Banderas was BORN to play Zorro, and hoped it would lead to a series of adventure films. Sadly, that didn't happen- the wait was seven years, and the sequel was a god-awful, cliche'd mess (especially cringe-worthy if you are a teacher or lover of history, like I am- the sequel takes soooo many liberties with it….) complete with a boring villain, a lackadaisical story and an alleged child actor hamming his way through WAY TOO MANY SCENES. I hope you give us your take on that film, too- TERRIBLE, and if there was ever a plan to make this a franchise, it certainly killed off that idea. P.S. Timothy Dalton should have been cast as the older Zorro- it would have been a cool nod to his costume drama days with films like "Cromwell" and "Mary Queen of Scots" and even "Flash Gordon." He already knew the moves and it would have been fun to see him in that kind of role again. I loved this film ever since I first saw it, it is a true bona fide action adventure. Hopkins and Banderas are perfect, whilst Zeta Jones is the perfect definition of eye candy. You are right, she has never looked this good since. The Mask of Zorro was a brave stab at rebooting one of the oldest superhero legends, and like many times before it worked, but ultimately didn't pay off since the follow up was a downer. Zorro has probably the most on screen incarnations of any comic book character ever, it has had films and TV shows spanning from the USA, Europe and Japan. I find it sad that despite his universal recognition, a successful series of feature films has never really taken off. Pretty much every film is an origins story and it doesn't move beyond that The character and his setting is the perfect tentpole for family orientated films, all the way to Anime. As much as I love the Mask of Zorro, my favourtie Zorro film is still the the 1976 'Spaghetti Western' incarnation starring Alain Delon, the sword fighting in the film is just superb. 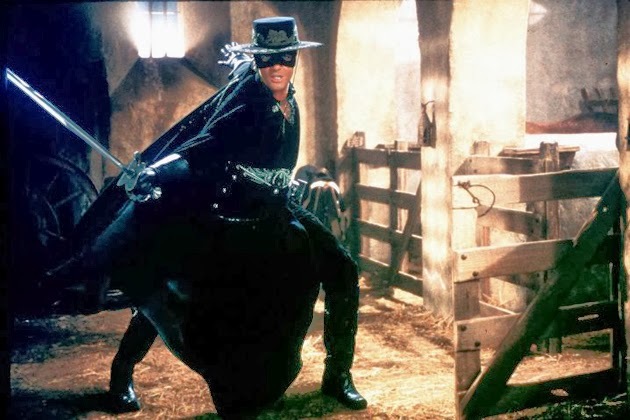 I really do hope that Zorro will come back to our theater screen, yet another reboot is being mooted as in production, and the writers don't need to think up new ways since they can easily adapt Isabel Allende's novel of 'Zorro' which serves as a reboot in ways that will make it unique. Just like Batman Begins, Allende's reboot doesn't feature De La Vega as Zorro for a long, long time, and it is only until nearly the end of the novel that he becomes the Zorro that we all know. John Jamele; Timothy Dalton as Don Diego de La Vega? I can definitely see that. Pretty much anything with Dalton is watchable, after all he was the best thing in The Tourist. Zorro has probably the most on screen incarnations of any comic book character ever, it has had films and TV shows spanning from the USA, Europe and Japan. I appreciate your enthusiasm, though I must lightly correct a bit of semantics. Zorro started in the pulp prose magazines, not comic books. 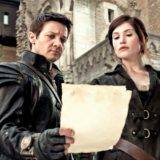 To include him as a comic book character means you would have consistently have to include Tarzan, Sherlock Holmes, Steven Austin, and several other properties that made the transition from prose to comic book adaptations. Correction noted Spaceodds. I actually haven't seen very many Zorro films. 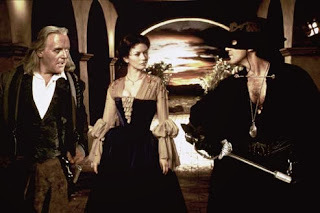 For the longest time I mainly associated the character with George Hamilton in Zorro the Gay Blade, a flick I watched quite a number of times when I was little. I barely remember anything from it, but I'm sure if I went back to rewatch it now I wouldn't think very much of it.